I'm thinking of saving my haul posts until the end of the month, so I can show you a big collection rather than a few little ones. However, seeing all the things I've bought this month makes me feel a little sick. I have bought these throughout the month so not in all one shopping trip! I hope you enjoy seeing what i've been buying. If you follow me on Twitter (@studentstylexo) then you will have seen my tweets about my local Asda selling Real Techniques brushes. I saw them whilst browsing for some skin care bits and wandered over to the shelf, then I saw how cheap they were! 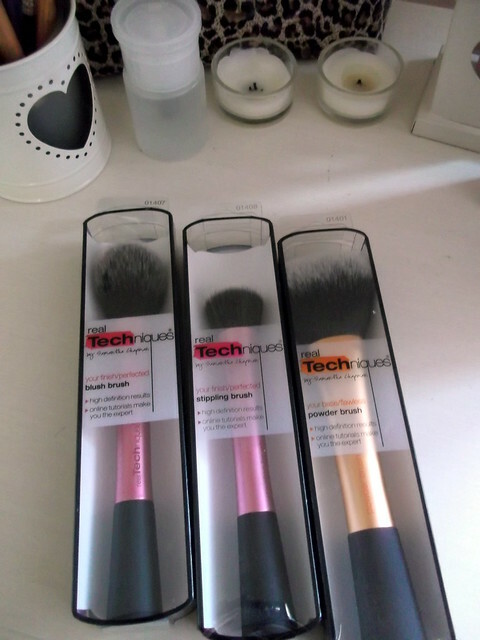 The Blusher brush was £5 and the Stippling & Powder brushes were £6, normal price as well! I absolutely love Real Techniques brushes and i'm hoping to do a post featuring my favourites soon. I asked on Twitter at the end of last month what your favourite recommendations were as I didn't own any Lush products (don't judge). So many of you said the Tea Tree Water, I knew I had to buy it. I also knew I wanted a face mask so I did my research and found that Oatfix was the best for dry skin. Overall, i'm really happy with these two and i'll be doing a post on them soon. So I haven't bought anything from Mac for ages but when I saw that Debenhams had a 10% off all beauty items sale I decided to pick up Mac Rebel, i've wanted it for so long that I jumped at the chance of a lipstick for £13. 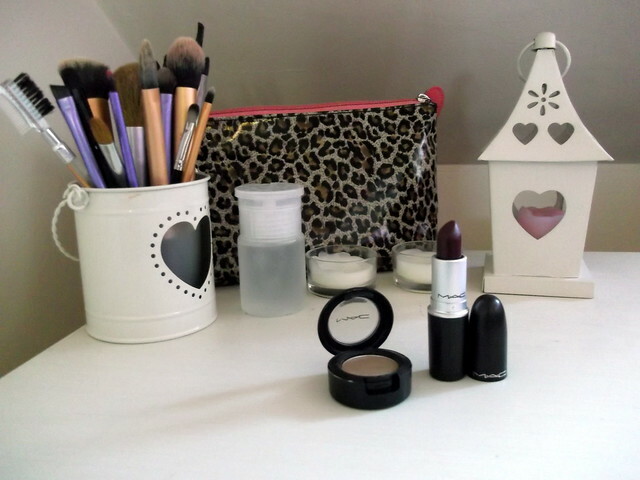 It's the perfect colour for Autumn Winter and I think it looks gorgeous both during the day and at night. I also picked up the eyeshadow shade Wedge for my eyebrows. You can see my post about how I fill in my eyebrows here. Can you believe it, this was my first ever time ordering from the Mua website. As they had a sale on I decided to pick up two palettes, one eyeshadow and one blusher shade. These were so cheap but such good quality. 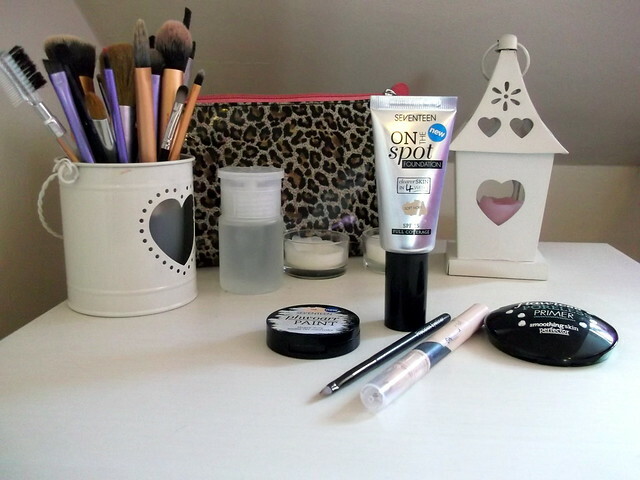 I also ordered their flawless primer which is amazing, i've reviewed it here. I also picked up these two nail varnishes as I wanted some more Autumn Winter appropriate colours. These are just so random bits and pieces I picked up over the month. The Bourjois bronzer I ordered from Asos for around £4, this is usually £8ish in Boots so I definitely got a bargain there. I also picked up two LA Colours nail varnishes from Boyes for £1 each, I love the colour of these however the lasting power isn't brilliant. Finally, I picked up some cheap eyelash curlers as mine were getting really grubby. These do a nice job of curling the lashes and keeping the curl. Again, another splurge in Boots. Although this was a bargain shop. 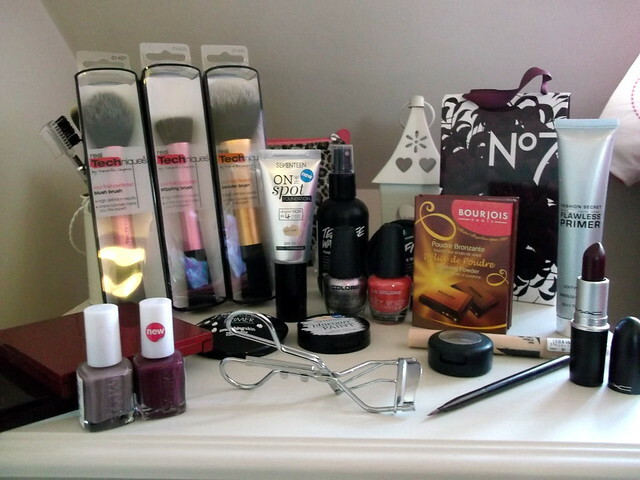 The Seventeen products were all 3 for £10 meaning I saved around £7. I love Seventeen at the moment, I think they are really bringing out some fantastic products. I've read some really good reviews on these and can't wait to try them out properly. The Collection concealer is what I use for the brow bone, which i've already done a post on and the brush is what I use to blend that. So during my trip to Boots, my sister purchased two No7 products and received a lip care gift set. As she already had one she gave me it. You get a lipstick, lip gloss and lip brush all for free! The colours are so wearable and long lasting. I don't own a lip brush either so i'm excited to use this.